Helps to increase energy and resistance to stress. Our bodies can deal with short-term intense stress effectively. However, a build-up of stress levels over the long-term can affect both your physical health and mental well-being. 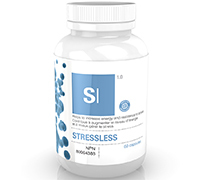 This is why ATP laboratories created Stressless, which allows you to simultaneously manage day-to-day stress and increase your energy levels. Recommended use or purpose: Used in herbal medicine as an adaptogen to help increase energy and resistance to stress. Helps the body to metabolize carbohydrates, fats and proteins. Helps in tissue formation. Helps to form red blood cells. Provides antioxidants. Recommended dose: Adult: Take one capsule two times a day with food or as directed by a qualified health practitioner. Recommended duration of use: For prolonged use, consult a health care practitioner. Contraindications: If you are pregnant, breastfeeding or trying to conceive, do not use this product. Do not use if you have scleroderma. Cautions and warnings: If symptoms persist or worsen, or if new symptoms develop, discontinue use and consult a health care practitioner. If you are taking prescription medications, consult a health care practitioner prior to use. If you have a heart condition or diabetes, consult a health care practitioner prior to use. Discontinue use and consult a health care practitioner if you show signs of weakness, oral ulcers, or abdominal pain accompanied by severe muscle pain. Consult a health care practitioner prior to use if you are taking carbidopa or drugs/supplements with serotonergic activity. 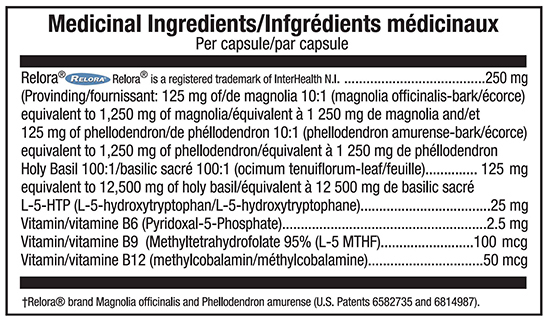 These may include, but are not limited to Ltryptophan, Sadenosylmethionine (SAMe), St. John’s wort, antidepressants, painkillers, overthecounter cough and cold medication containing dextromethorphan, anti-nausea medication and anti-migraine medication. Known adverse reactions: Some people may experience drowsiness. Exercise caution if operating heavy machinery, driving a motor vehicle or involved in activities requiring mental alertness. Some people may experience diarrhea, nausea, vomiting and abdominal pain.